It’s clear our staff wasn’t completely convinced by the newly rehashed interpretation of the Lethal Weapon movies. While the acting performances were decent, and the characters were somewhat charming, it was clear that the original movies could never be topped. 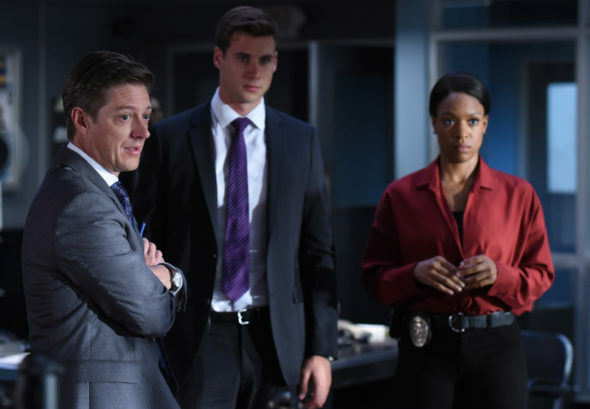 Nonetheless, as a detective series, this new Warner series held its own quite well, and the separate cases were fun, even with the forced chemistry between the two leading characters, one as a composed police officer/family man, the other a loose cannon who seemingly has nothing left to live for. At the end of season one, Riggs headed off to Mexico, to exact his revenge on the killer of his wife. Murtaugh was soon to follow his partner, as it’s clear that the two were nothing shy of best friends after the first season. In the second season, the main story will still revolve around Riggs (Clayne Crawford), the loss of his wife and more importantly, his troubled childhood. The saga about his childhood starts off by Riggs meeting up with an old friend of his, who is released from prison. Of course this triggers a chain of events that will cause his past to resurface again, the abuse, the loss of his mother, and so on, which are an okay topic to pursue, but it feels like this is becoming ‘the Riggs show’ instead of a Lethal Weapon adaptation. 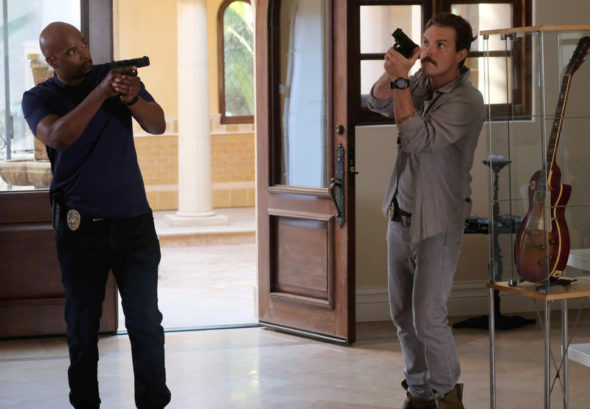 In the meantime there are cases to be solved, and most of the time these cases will be tackled by Riggs and his somewhat more serious partner Murtaugh (Damon Wayans). Overall the formula remains the same, meaning that story content is dispersed between episodes, all while cases are tackled. This time the dynamics have changed a bit when it comes to the overall appeal and flow of the series. While the duo always had its fair share of troubles, it seems the annoyances run higher this season. Also the red thread changes from Riggs’ dead wife, to his past and his troubled teenage years, which he had to get through without his mother, while his father pretty much abused him after his mother passed. While some memories were good, it seems most of them were extremely bad. For some reason the creators want Riggs to become even more of an unreliable loose cannon this series, which doesn’t exactly make things better for the story and the chemistry on screen. That being said, the episodes still follow the same pattern, where one case per episode is tackled, while the Riggs sob story continues until the next act reveals something even worse about his past. It has to be said that the premise is good, it just gets dragged out over the course of twenty-two episodes, which just dulls the experience and makes things sometimes tedious to watch. Overall the acting performances have not changed that much compared to the first season when it comes to the general cast members. An interesting newcomer is Andrew Creer who played the goody-two-shoes detective, Bowman, and does so in a superb fashion. Other than that, it seems that Damon Wayans’ character, Murtaugh has become a tad more uptight and even more concerned about his life, future, partner and family life. 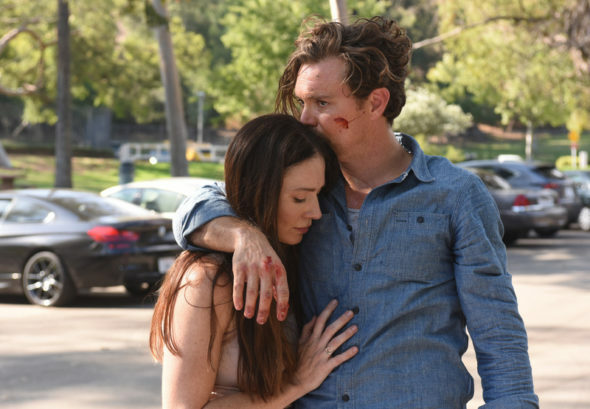 On the other hand, Clayne Crawford, who plays Riggs in this rendition of Lethal Weapon, seems to turn more and more into an arrogant douche, not because of his problems, but just because he can. We’re not sure if the latter has to do with him being replaced in the third season or not, but in a certain way it works/makes sense as you’ll start to dislike Riggs more and more during certain episodes, or after specific choices he makes. 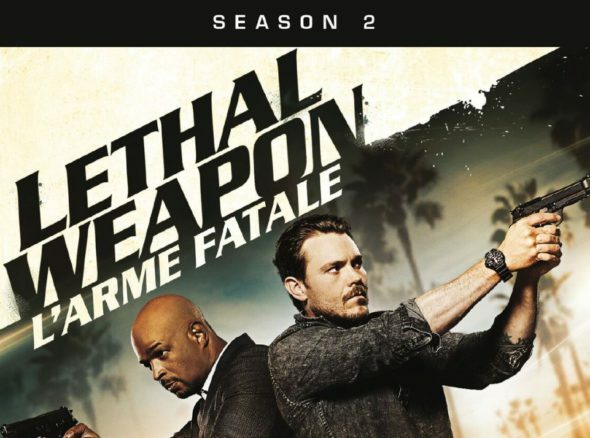 It’s clear that holiday season has not begun yet, as the extras on this DVD edition of the second season of Lethal Weapon come bearing no gifts, safe for a few deleted scenes. While the series may not need that much extra material as everything onscreen speaks for itself, it’s still a shame not more was included, even if it was only a gag reel, some opinions about the choices made for the second season, and so on. Lethal Weapon: Season 2 is pretty much a decent follow-up of the first season, but it seems clear that Riggs is supposed to be written off in the episodes on this DVD edition. Nonetheless, if you come for the detective story, you will not be disappointed, if you’re looking for a proper homage of the original movies, you’ll probably be more disappointed than you were during the first season. Nonetheless, we’re certain this series has enough followers, otherwise it would flop with the replacement of Clayne Crawford’s character in the third season, but then again, that’s something time will tell. If you liked the first season however, this is more of the same, and you’ll certainly get some amusement out of these twenty-two episodes.